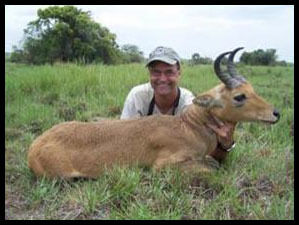 The 2011 safari season for Chris Weth's Uganda Wildlife Safaris is off to a great start according to the reports made by the first returning hunters. 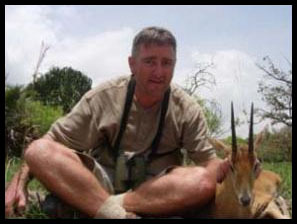 "We returned a couple of days early from a terrific safari with Christian and team. A few photos are attached". (That never happens to me)". 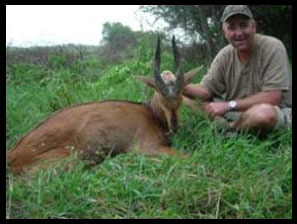 "Nile Bushbuck - green scored #5". 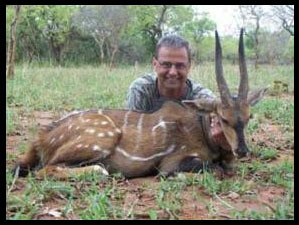 "Oribi - I have one but this one is 6.5 inches"
"Attached are the pictures from my hunt with Christian. We had a great time and were very impressed with the areas". 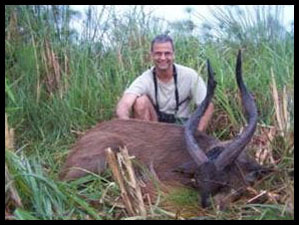 "The Kafu River area (concession of Uganda Wildlife Safaris) is SUPERB. It holds hundreds of miles of papyrus-lined rivers with a limitless supply of sitatunga that have, literally, never been hunted. 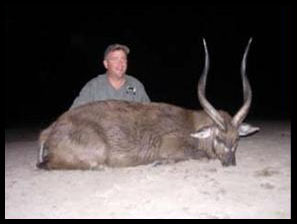 I am convinced this is the best place in Africa today to hunt sitatunga, and I'll be suprised if they don't pull out the world record East African sitatunga in short order. The variety of other game is not extreme, but what there is occurs in plenty. 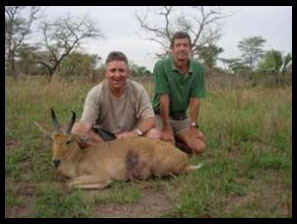 Nile bushbuck and East African bohor reedbuck wander about like goats. 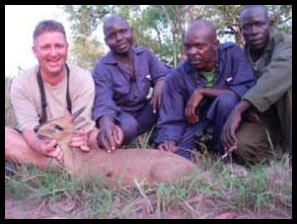 Oribi are legion, and there are lots of E.A. bush duiker." 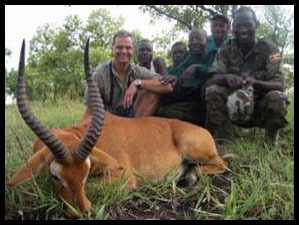 The season for Uganda Wildlife Safaris extends from January through November. A few openings remain for 2011 and now is the time to get your most convenient dates for 2012. 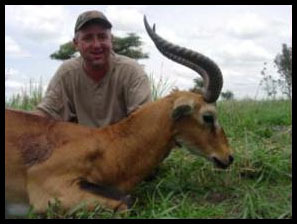 For 2011 prices, go to www.sportsmenonfilm.com and click on Uganda. To book, call Ken Wilson at 800-910-HUNT (4868). Next Month the spotlight will include the Central African Republic.